NGD (Again) I could not resist. Nightswan cousin. I just bought a Nightswan cousin off ebay. I have wanted one of these for a while now. I made an offer, and the seller took it. I got it for pretty cheap. I have an extra Duncan JB laying around. Seems only right to get an F spaced Duncan Full Shred for it. 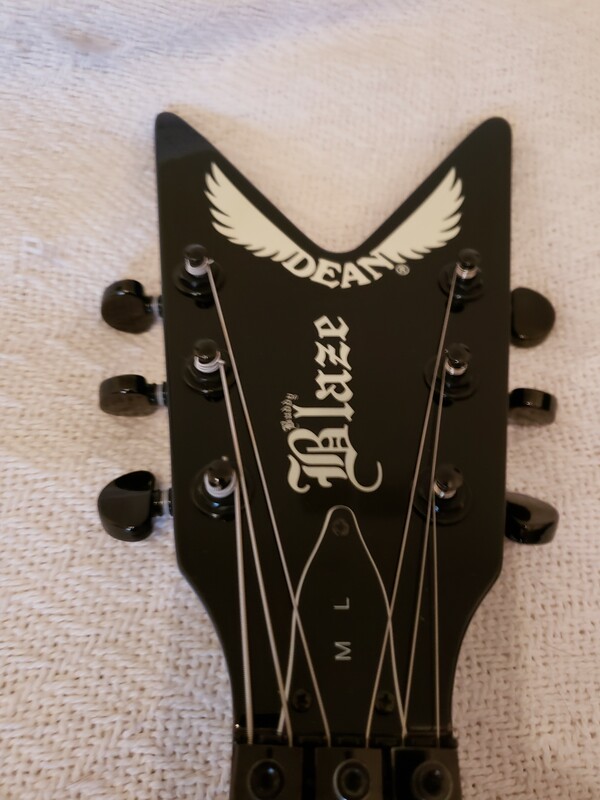 It is a Dean Limited Edition ML Buddy Blaze with case and certificate. Only 300 made. This one I will keep. 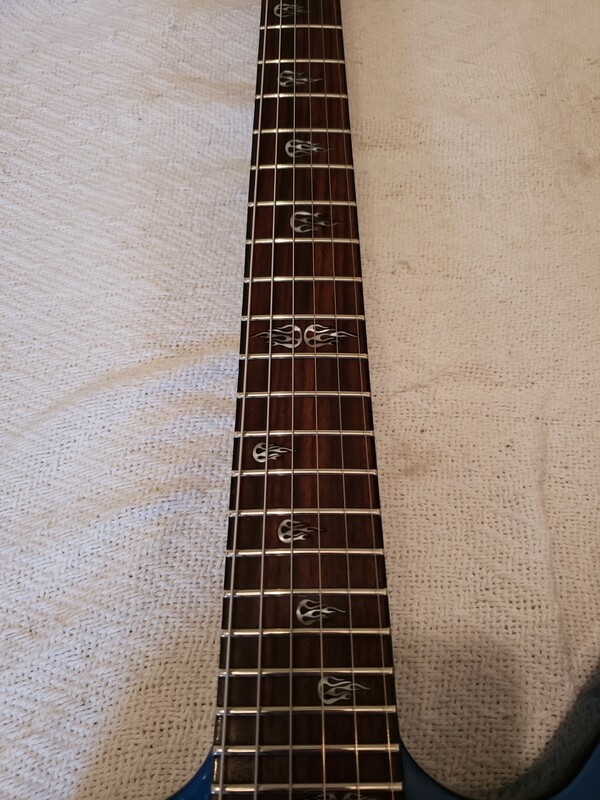 The one I am getting had a bridge pickup swap to a Bill Lawarence XLR 500 just like Dime Bag. So might as well make it more Nightswan. Nice! 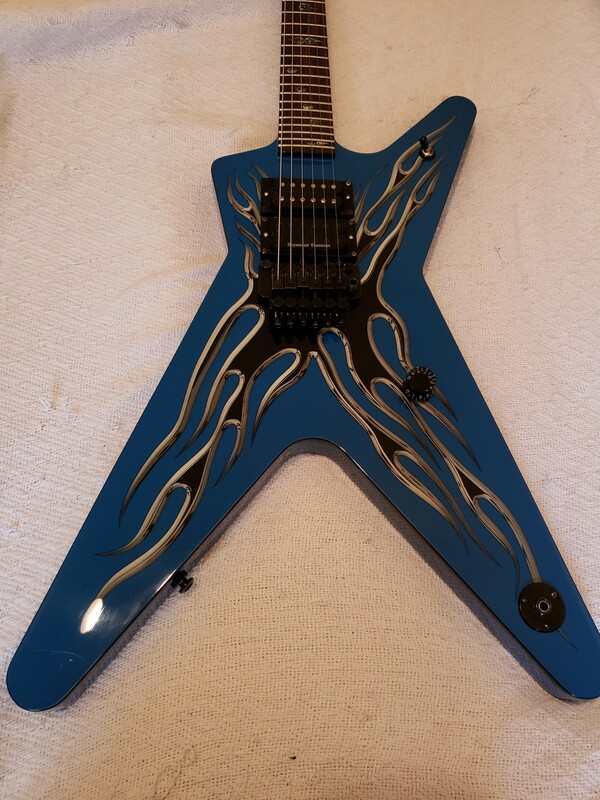 I'd keep the Bill Lawrence, Dime-style. 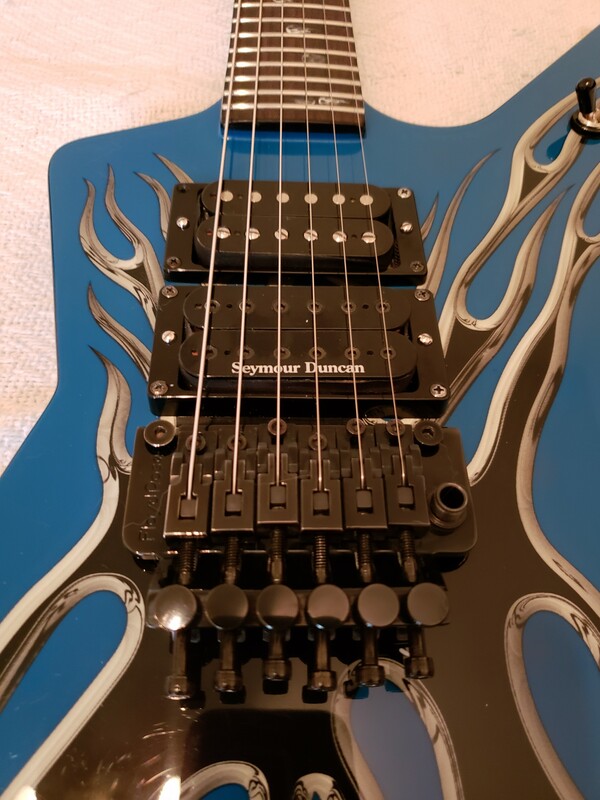 I bought a Duncan TB10 Full Shred Trem Bucker for it today. Sorry. I never really liked the Bill Lawrence stuff. I think putting a Full Shred and JB in it is just what it needs. I have a couple of Duncan JB's laying around. Including a rare JBJ Trembucker. 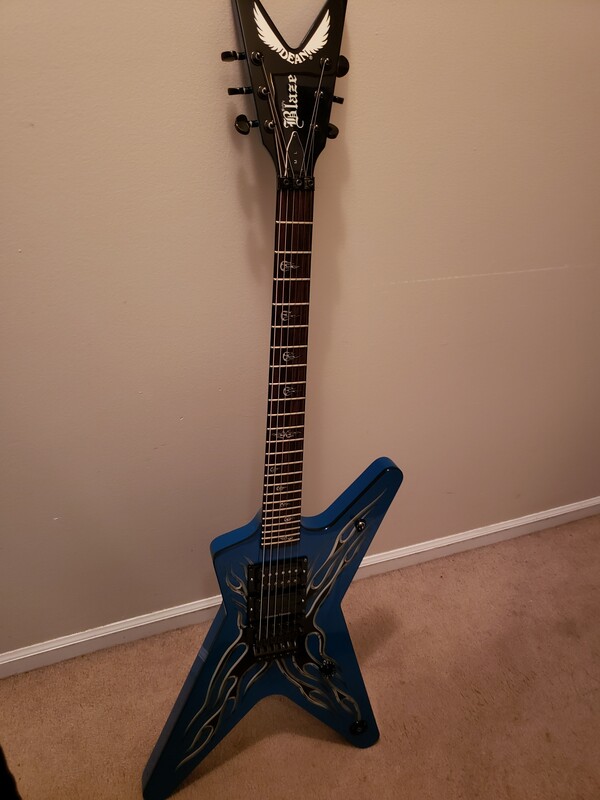 I did a complete over haul, and setup on a Dean ML Dime today. I have to say. I never really gave any thought to these guitars. I found out today, that they are very comfortable, and fun to play. The guitar I played today was a great playing and sounding guitar. I am kind of excited about getting this new Dean. I have never owned one before. Funny. It reminded me of seeing/meeting Pantera, with Slayer, at Cobo Hall in Detroit in 2001. I had all access passes to the show. Hung out with Dime, and Pantera for about 2 hours after. That was a good day. That is a cool, story. I can't believe I found my ALL ACCESS PASS sighned by someone. That was a good day. R.I.P. Darrell. Someone got it on video. I get you, Full Shred is one of my favorite pickups as well. Would have kept the Lawrence for the originality though. I don't like most of his models either but there is one Lawrence pup that kills almost anything else, it was used by Gibson in their older superstrats and some LP's and is known as "the original". Awesome pickup. 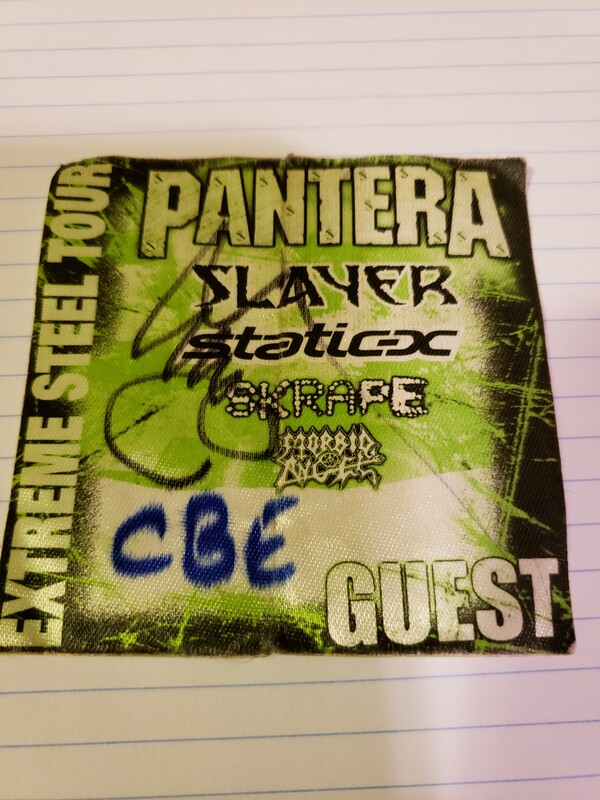 Meeting Pantera and Slayer is damn cool, wish I had the chance. I got the guitar today, and good news. I have been looking to see if I can find an original Dean DMT Blazebucker bridge pickup for it. Since someone put the Bill Lawrence in it. It was like finding a needle in a haystack. NONE for sale. Buddy Blaze is sueing Dean right now. So I was sure that I could not get one made. They probably only made 300 anyway. The previous owner put the Blazebucker in the middle possition. Finding an original Dean DMT Backer Act pickup for the middle position will be easy. I found a lot of them for sale. This is just so I have the original pickups for it. For now. The trusty Full Shred and JB Nightswan combo is going in it. Got it all setup, new pickups, and new CTS 500k pot. It is a great guitar.